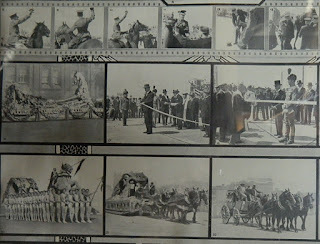 I'm delighted to show you this offering in our upcoming auction. It's an interesting and significant piece of Australiana. 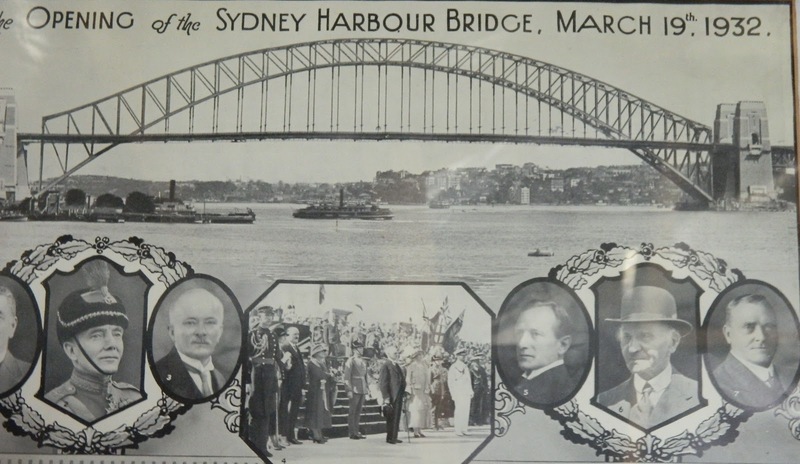 Lot 354 is a Photographic Montage of the official opening of the Sydney Harbour Bridge, 19 March 1932. What's different about this piece is that it depicts an incident that happened just before the official opening. In an incredible national security blunder, Captain Francis de Groot* of the Fascist group the New Guard, managed to ride up and slice through the ribbon before the official ribbon-cutting ceremony. What I find so interesting about the New Guard is that if you read their initial blurb, the avowed ideals sound appealing: such things as honour in government, morality and individual liberty resonate well with the citizenry and most right-wing organisations use them in their platforms. Trouble is, they always bring attendant problems, such as intolerance, racism and classism. The other fascinating bit for me personally was that De Groot was an antiques dealer. But I digress. De Groot and the New Guard were bitterly opposed to the Premier, Jack Lang. Embarrassing him publicly was minor; they also planned paramilitary opposition and even considered kidnapping Lang and seizing political power in a coup d’état. 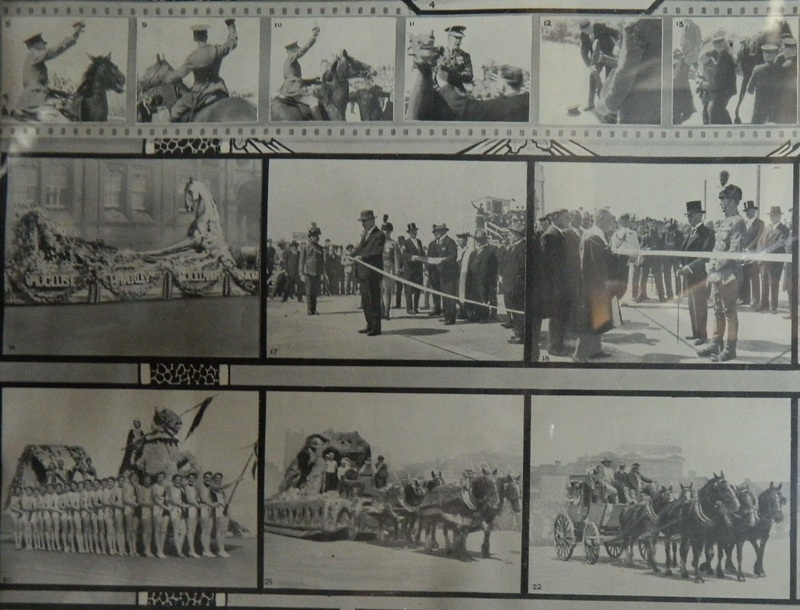 The Montage of the Harbour Bridge incident is believed to be one of two printed. The piece currently on offer was presented to Mr Charles Clifford Cooper, then Secretary & Treasurer of the Balmain local branch of the New Guard. Provenance: by descent to the present owner. It comes with a Letter of provenance. A complete catalogue of our antiques offerings is available at Easy Live Auctions dot com. 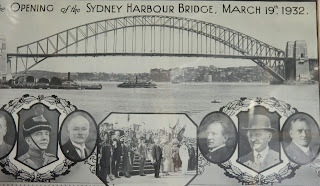 You can access the Harbour Bridge piece by using this link to the Sunday 27th November Auction and entering Lot 354. Online and absentee bidding are available. *Spelt ‘de Groot’ at the ubiquitous Wikipedia, but ‘De Groot’ in the newspapers (e.g. The Sydney Morning Herald) and the Australian Dictionary of Biography. That is a great piece of historical bite, which I never knew.Thanks for sharing! I gotta level with you Aleta. The anecdote was interesting, but I found your deliberate, but artful voice in the post the most enjoyable part. I'm not Australian. I'm from California. I could, however, put what I thought to be an Australian accent to your words. It worked very well. If I were in the market for a montage depicting the events that preceded the official opening? I'd bid top dollar. Hi there! Thanks so much for your kind comments. I was in California four years ago, and I'm still salivating over the excellent food! Ha! No! Went to a place called Santana Row? Place? Square? (I remember the name because of Carlos Santana) and I insisted on going back at every available opportunity! 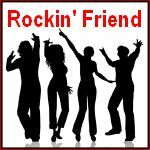 Thanks for your comment on Bloggers... awesome blog!! I greatly appreciate your coming by! following you ....follow back ? Thanks, white cabbage! Just been to your site, love the elegance! GFC is not up; I'll connect as soon as I can. Delighted to meet you, Zona, and thanks for coming by. I'm glad you found it an interesting read. so great informative post.done follow u.follow me back..
Great set of photos of Sydney Harbour Bridge..I think next time when I will visit this place I will feel the beauty with more clarification of it..My knowledge about this place has increased after reading your article..I have planned 2 day Sydney trip Itinerary more optimistically ..